North Korea National Under 17 Football Team is the Group D team that represents the North Korea in football association at an age of Under 17. The team is overseen by DPR Korea Football Association. 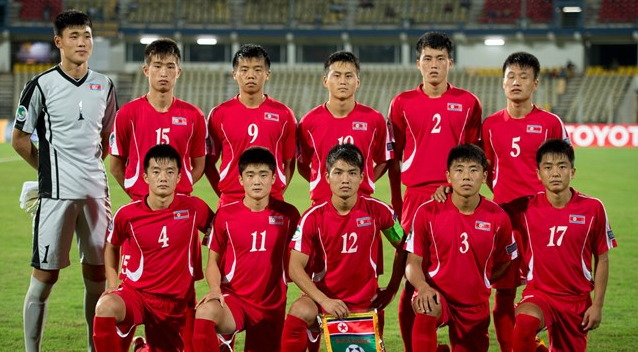 The team North Korea have played 5 times in FIFA U17 World Cup and reached at Quarterfinals level in 2005. They also have qualified 10 times in Asian Championship in which they have won the champions trophy twice in 2010 and 2014. Along with they also have two times runners up (2004 and 2006) in same. The team North Korea will play their first match against Niger on 7th October 2017 in Jawaharlal Nehru Stadium, Kochi. The team looks quite confidence about this match and are very excited to face Niger in their first match. So, guys let’s watch the on 7th October 2017 at 20:00. The players who are participated in the FIFA U17 World Cup 2017 tournament have not yet declared. Hopefully it will be updated soon….